A time-of-flight mass spectrometer (TOF-MS) developed in our laboratory at Isfahan University of Technology is described here. The TOF-MS instrument uses laser as the ionization source which provides an opportunity to investigate the ions formed in laser ablation or desorption. The TOF-MS has an ionization chamber containing an accelerator and an ion lens to focus the ions into a one meter linear flight tube mass analyzer. Laser beam enters the ionization chamber through quartz window and can be focused either on the accelerator plates or in between. Solid sample may be deposited on the accelerator plate. Gas samples can also be admitted into the ionization chamber perpendicular to the accelerator axis through a leak valve. 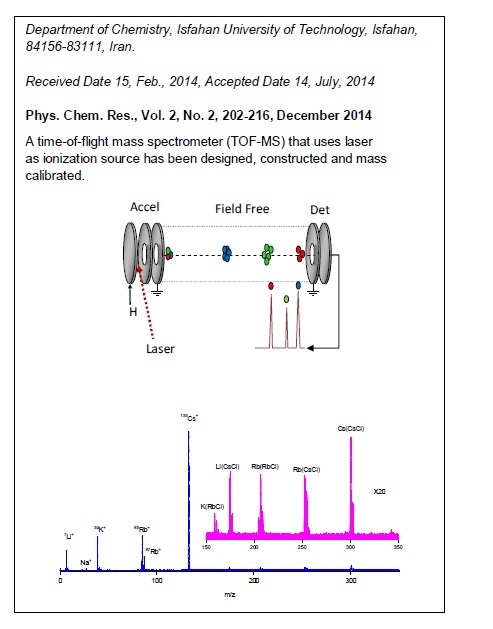 Mass spectra were obtained for gas samples as well as test solid samples. For the gas phase ionization, the laser was focused in the space between the accelerator plates while for the solid samples the laser beam was focused on the sample deposited on the repeller plate of the accelerator. Operational condition of the instrument were examined and mass calibration was achieved by measuring the flight time of the known alkali ions; Li+, Na+, K+, Cs+ and Rb+. 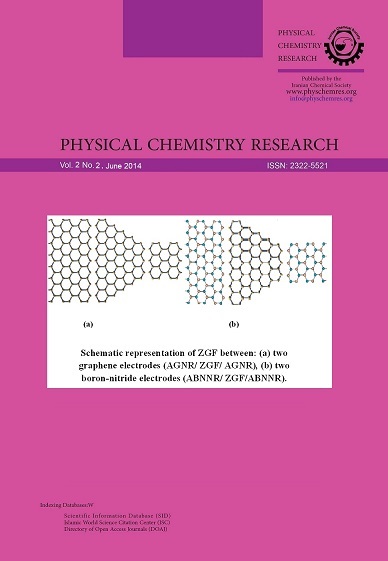 Ions of type Alk+(Alk.Halide)n were observed for all alkali salts. In addition, spectra of alkali earth salts were obtained and assigned. An average mass accuracy of 0.016% was obtained and a mass resolution of 540 (m/Dm) was achieved for benzaldehyde (m/z = 106) as a test sample. The instrument is capable of being used for MALDI analysis.